What are Palestinians teaching their children today? 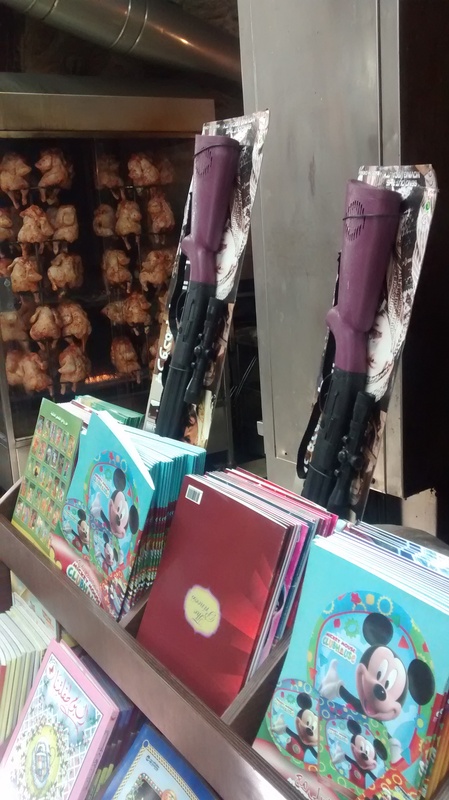 Disturbing items seen in Muslim quarter part of Jerusalem. NB; These are not pics off the internet, I took these myself. 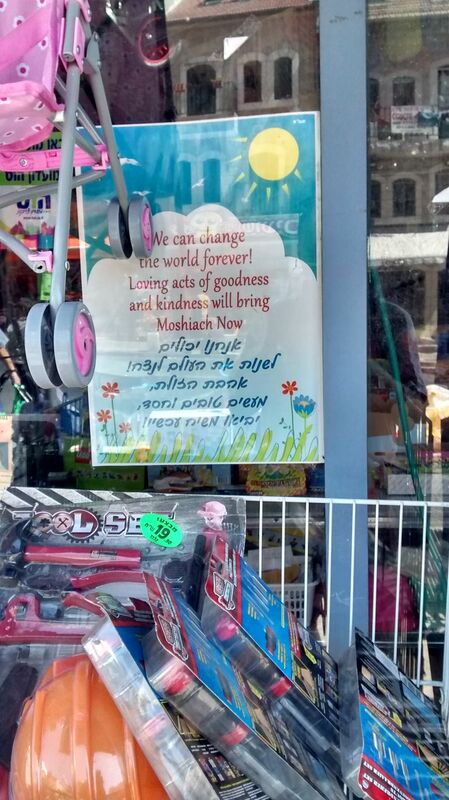 In one case some local teenagers were playing with a toy gun and aimed it and Jewish passers by. 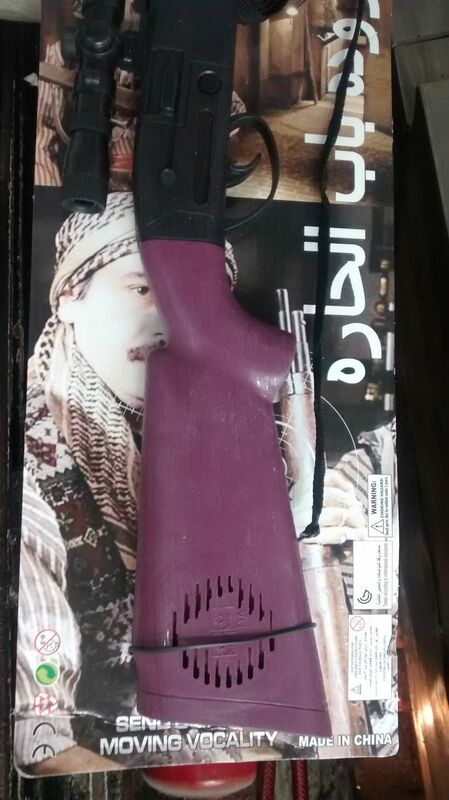 The toy guns are made in China, but have Arabic writing and images of Muslim gunmen on them. 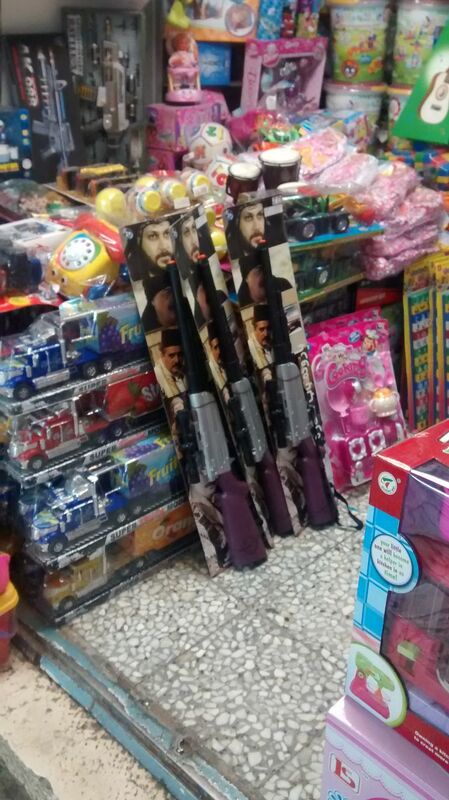 There are no toy guns in the Jewish toy shops in Israel. I saw this interesting picture in a toy shop, I’ll explain more later on this. Moshiach is the Hebrew word for Messiah. You can argue that army service is mandatory for Israeli Jews (Arabs, Bedouins, Druze, Armenians and other ethnic groups in Israel can also join as well but are optional) and they are required to carry their guns when not on duty. All Israelis I know join the army out of duty and learn many valuable skills during then, but really don’t want to go to war, but see a need to defend their nation from enemies on several directions. Please pray for Arab children in Israel, that they would not be taught hate and violence. NB, I was shocked to hear a Palestinian child died in a house fire a couple of days ago which was done deliberately with Hebrew graffiti (Price tag message) was left nearby. Actual attacks on Arab families and children by extremist Jews can happen but happen extremely rarely. I know the Israel government are determined to find and punish who was responsible for this, and the other child of the family is being treated in hospital. Please pray this won’t mean more revenge attacks to anyone.